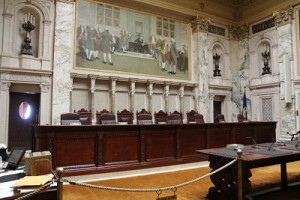 The Wisconsin Supreme Court is seeking comment on two pending rule petitions that support access to justice efforts in Wisconsin. The Access to Justice Commission filed Petition 15-06 seeking a rule change that would allocate 50% of unclaimed class action awards to support civil legal services to low income persons (aka cy pres). The State Bar of Wisconsin filed Petition 15-05 proposing rule changes to allow lawyers to claim a limited amount of CLE credit for certain pro bono service and to allow registered in-house counsel to perform pro bono work. The court has scheduled a public hearing on both petitions for April 13, 2016 at 9::30 a.m., and is seeking public comment on the petitions in advance of that hearing. Comments are due by March 4, 2016.The Access to Justice Commission encourages you to join us in supporting these petitions. How to comment.